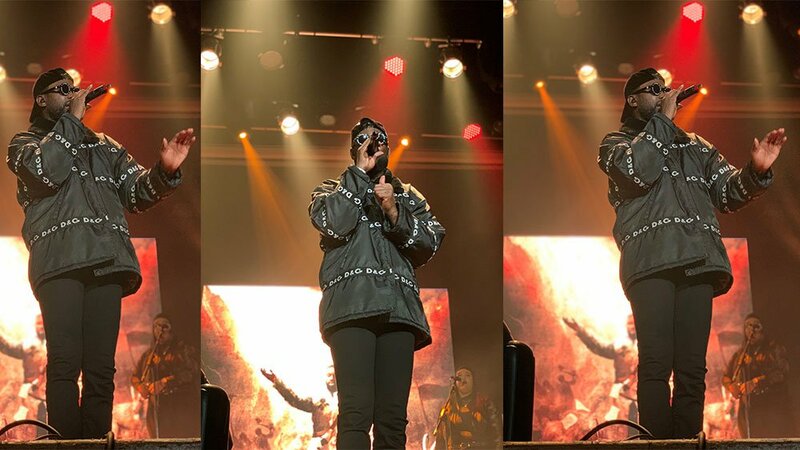 After the release of his latest album Ghetts: The New Testament and his sold-out headline show at The Jazz Cafe last year, Ghetts brought us a two night run of his self-titled tour at London's Islington Assembly Hall last night. The East London veteran continues to show us exactly why he deserves his title. Performing hits such as Preach, Artillery, Shellington Crescent + Don't Phone Me, the crowd erupted each time, fuelling him with fan love, rapping and singing along to each verse as he powered through his fast-paced flows. The room was full of friends, family and talented musicians some of which graced the stage including the likes of Wretch 32, Donaeo, Chip + Shakka. It's safe to say his 10year+ reign in this industry isn't coming to an end anytime soon.